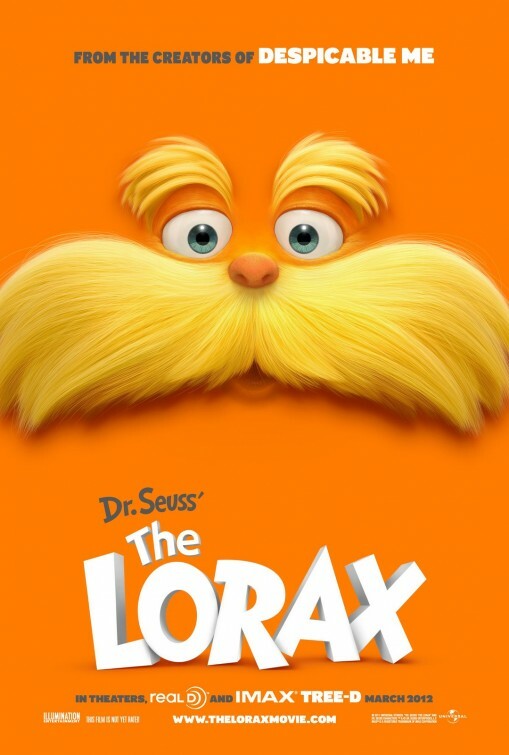 Colorful, energetic, and with a nice message about conservation, The Lorax is an amusing film that is pleasant enough but with little else to recommend it. The visuals are terrific and the Dr. Suess-level of imagination is nicely incorporated in weird ways. The story is about a boy (voiced by Zac Efron) trying to impress a girl (Taylor Swift), but really it’s the story of the Once-ler (Ed Helms) and his destruction of the forest for the sake of making money. The Lorax (Danny DeVito) is an orange, mustachioed creature who “speaks for the trees,” and conflicts with the Once-ler. The framing devices of the young starlets feel unnecessary, and the movie descends into a series of wacky chase scenes. The humor stays around family-friendly slapstick and a few knowing winks for the adults. The songs are amiable and witty but fairly forgettable. I’m having a hard time even summoning a single melody hours after seeing the movie. The rest of the movie is kind of the same way. It’s pleasant and nice enough while watching, but afterwards it evaporates from your memory, leaving only the faint reminiscence of colorful imagery. It’s from the makers of Despicable Me but lacks that movie’s heart. The environmental message will drive some blowhards nuts, but the same activist message existed in Suess’ original book. Anyway, I think The Lorax is a bit too busy and yet simplistic to be anything other than a pleasant diversion. The story just can’t match the greatness of the animation.